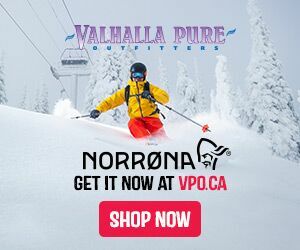 The terrain in the Monashee Mountains of British Columbia is begging to be skied every winter, and this year there is one more way to do that. Gostlin Keefer Lake Lodge, an hour west of Vernon, is BC's the newest Catskiing operation. 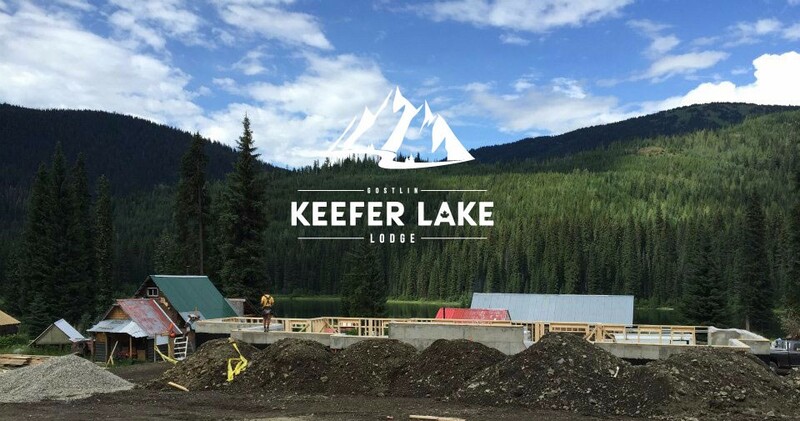 They are working full tilt to get the new lodge up and running for this season, and we can't wait to get out there and try it out for ourselves. 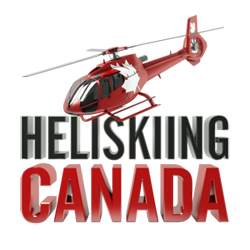 The interior of BC, especially around the Okanagan Valley, has been growing in popularity with a number of new cat, heli, and backcountry ski operations over the past while. Proximity to the Kelowna International Airport (YLW) and it's many direct flights is a big part of that draw, making it easier than ever to get here. This avoids wasting days and money on transfers in from Vancouver, Calgary, or Spokane. Kelowna to Keefer Lake Lodge Catskiing is less then 2 two hours, and can easily add more ski days to your trip. That means more Pow, more turns, and more beer in the Lodge around the fireplace. Give Jeff and the crew a call and see when you can get your own Monashee powder adventure at Keefer Lake Lodge Catskiing. Meow. 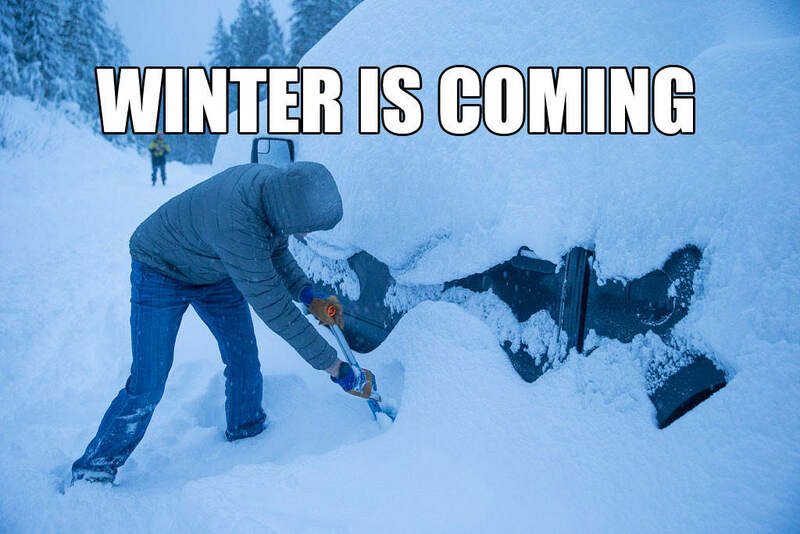 Summer is here...let the decent into Winter begin! The first day of Summer brings all sorts of feelings to people around North America. The seamingly endless days on the lakes and rivers, the warm evenings, the alluring aroma of the BBQ, and of course, the hope that Winter once again will return. Yes my friends, the days are getting shorter. Ski mags will hit the shelves shortly. The barrage of ski flick trailers will be upon us. It will not be long before you tire of the BBQ smell and yearn for the wafting scent of ski wax to dance around in your nose holes. Do not despair my fellow skiers, this purgatory we call summer will soon be over. We shall be knee deep in Winter in no time. In a time when most areas struggled, SWS was basking in powder and sunshine. Powder, sunshine, good times and great friends at Selkirk Wilderness Skiing. Alan and Brenda chose this spot for a reason 40 years ago. Watch the video to find out why. Imagine...if this is what it is like at SWS on a lean snow year, just think what a normal season is like! We made the front cover of Ski Canada Magazine! We got some exciting news just before Christmas but couldn't share it until this week - one of our photos was selected for the cover of Ski Canada Magazine! The COVER!! We are just so pumped here at Catskiing Canada. Our photographer Geoff Holman is being recognized for his unique take on ski photography and skier Todd Avison feels like a childhood dream has been fulfilled. 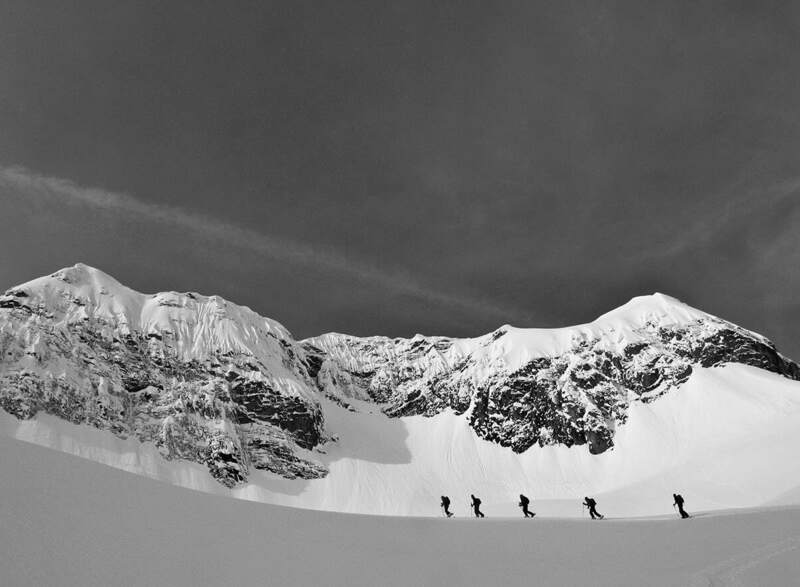 A bit about the photo - This image was captured during an early season trip to White Grizzly Catskiing. The snow was deep and light, not what you would typically expect from mid-December skiing. Owners Brad and Carole showed us some true mountain hospitality and Brad was eager to show us to all his hot spots in the terrain. This was one of them. Surrounded by larger timbers and waste deep in powder! 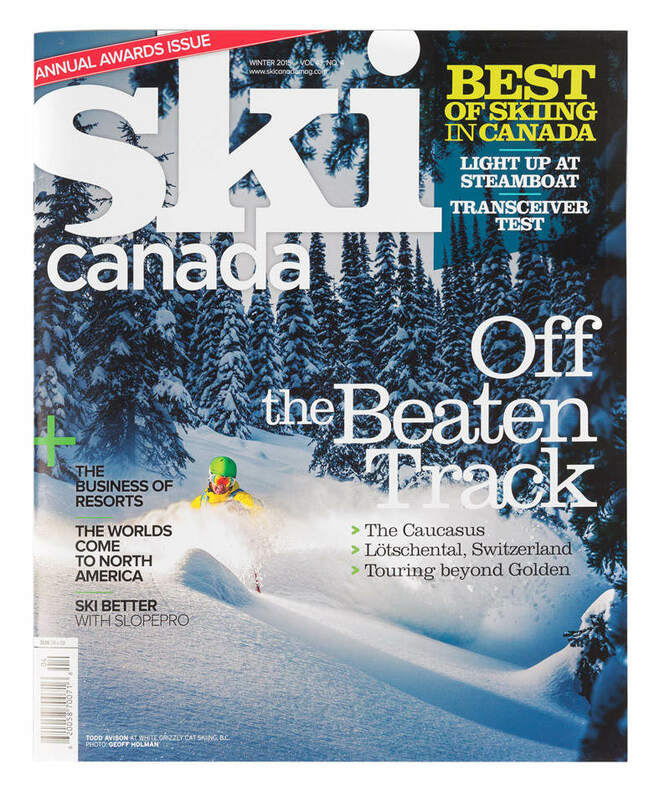 Check out your favorite magazine stand for the latest issue of Ski Canada Magazine. We are off to shoot more photos! Island Lake Catskiing is happy to announce cat assisted ski touring this April. After the scheduled catski tours are finished for the season, Island Lake will open its terrain to guided ski touring. Professional ACMG guides will show guests the wonders of the Lizard Range; big alpine bowls, ridges and the perfectly gladed trees that Island lake is know for will be all explored. If you are just learning, beginner groups can be arranged. Overnight accommodation options are also available. Explore the backcountry skiing terrain that Island Lake is famous for this April. 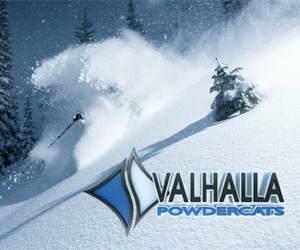 Everyone on the west coast knows that the weather has not been favorable for skiers. We backcountry skiers are also painfully aware of the effect the weather has had on the snowpack. That is why when a crew shows up to film it must be nerve-racking to try to find them some precious pow to make the best video possible. DPS Skis took a different approach, they made the best of the situation like all good skiers would. On one of their final days at Baldface Lodge, the weather changed causing an inversion. This made for some spectacular light resulting in this new video from the DPS Shadow Campaign - Inversions. Remember, on your next day out skiing or riding, find the fun in any situation. Skiing is awesome, powder makes it better but fun can be had almost anywhere with skis on your feet. 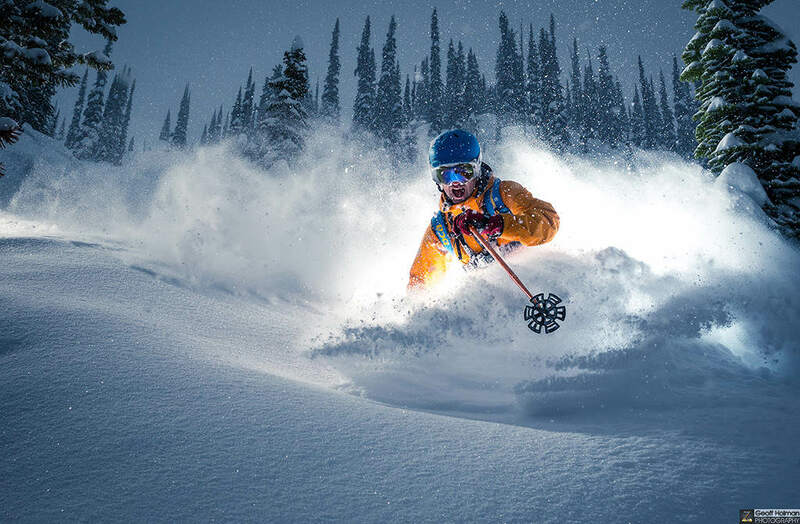 This powerful storm skiing image shot at Selkirk Wilderness Skiing has just won a photo competition put on by Phase One. Phase One is a leading medium format camera and software manufacture. They have cameras that can shoot up to 80 megapixels and our photographer Geoff Holman has just one the use of one for a month. 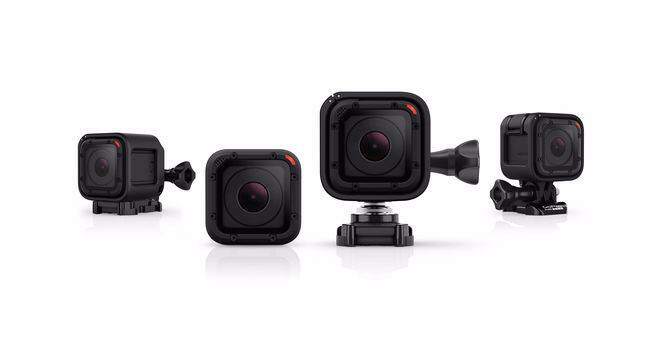 We are stoked to see what he can do with such a high end camera!